Affordable Low and High-Rise Honeycomb Housing: Post no. 100 ! Thanks to my readers, I've made it this far. And I'm looking forward to the next 100! To celebrate, I'm releasing a free E-book "Honeycomb Housing" for subscribers: just look for the download link at the bottom of the post emailed to you. If you have not subscriber, click here to get the Free E-book immediately. 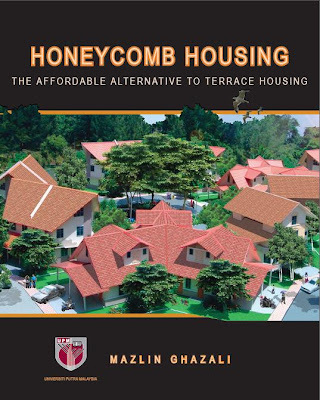 “.......Honeycomb Housing by Mazlin Ghazali is dedicated to a design solution revolving around the availability of suitable land, the high cost of such land and the cost of a single family dwelling. Planners have long searched for solutions given these parameters. Malaysia has a burgeoning population and a finite amount of suitable building sites. The solution has been the unsuitable terrace house with all its inherent problems. Mazlin Ghazali has arrived at what seems to be an eminently suitable solution—i.e., the honeycomb plan. 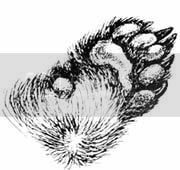 In this design he has tackled the parameters with élan. Less space is dedicated to suitable high-density housing, if such a thing exists at all. Also, as applicable as the honeycomb solution appears to be, one wonders if it is appropriate to the varied topography of much of Malaysia. In Malaysia, the wanton destruction of forests is seconded by the pulling down, terracing or levelling of hills and ridges". I am down loading the book as of right now. I am looking forward to reading it. Keep doing round cities I love them! Svet says congratulations and keep going. Thanks a lot to you both! Looks like a virus planted it. What OS do you use? I make it go away from my side by blocking the image to the server that it is on. it opens in same window. I would open up my html of my Blog and search for tinyurl.com. It has to be in your web page, somewhere. I am going to put your web page under a program I got and see if I can find the intrusion. Do you still have it I can not even get it to come back now! I went to the link and It quit showing up.